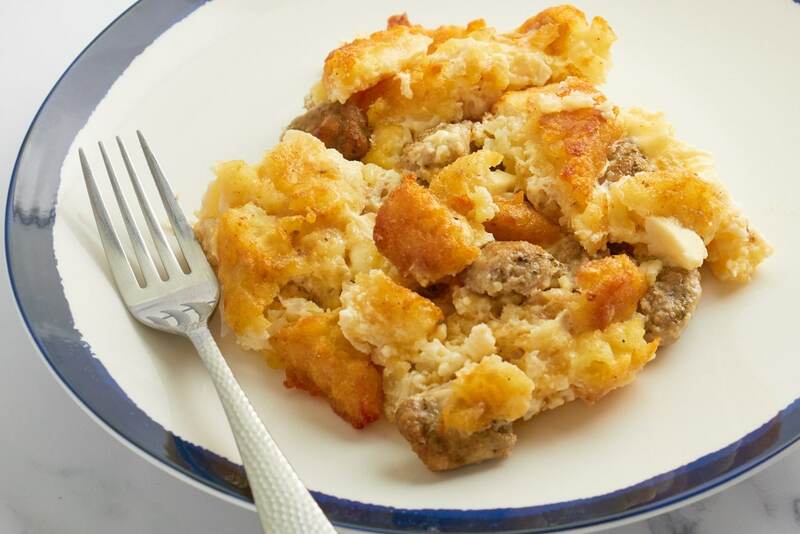 This hearty sausage and hash brown breakfast bake would make a perfect weekend brunch dish, or a hot breakfast on a cold winter’s morning. 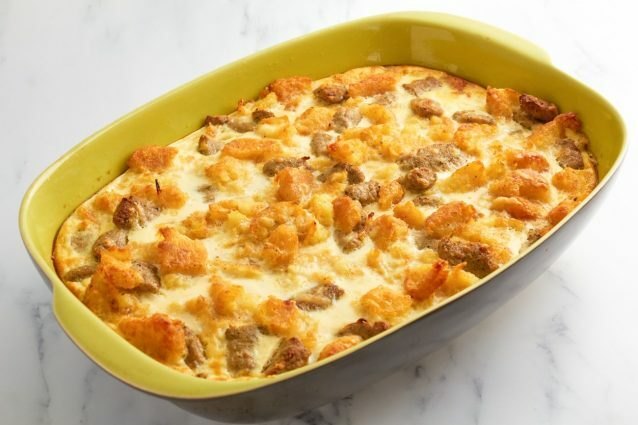 Served all from one dish, this bake is easy and convenient to prepare. 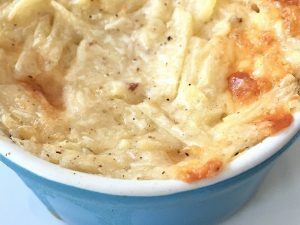 It can also be made the night before so all you have to do is pop it in the oven for 30 minutes. I’ve used Lincolnshire herb sausages in this dish, but you can use any type of sausage meat you like – why not try mixing mild and hot pork sausages for spicy new take on the dish? Preheat the oven to 350 F/160 C fan/gas mark 4. 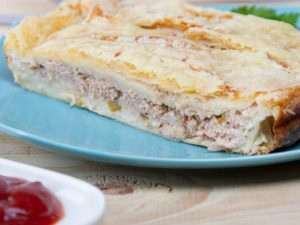 Cut the sausages into pieces, and cook them in a large skillet or heavy frying pan over a medium-high heat until it is browned and no longer pink inside. Drain off any excess fat. Prepare the hash browns according to the directions on the package, using the ½ tsp salt and pepper. 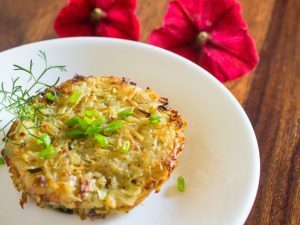 Hash browns usually take around 20-25 minutes to cook. 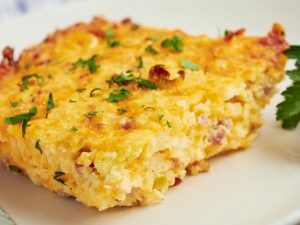 Chop the hash browns up into bite-sized pieces, and mix them with the cheese and sausage. 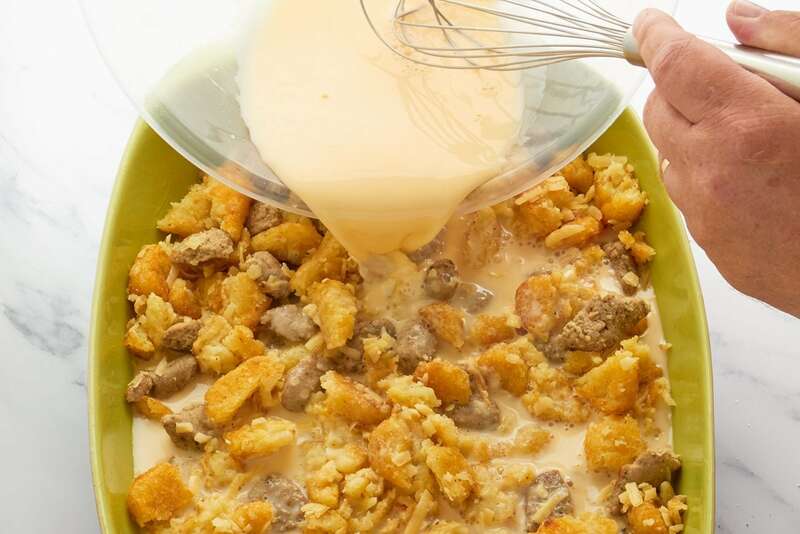 Pour into a lightly greased large baking dish and spread around to make an even layer. 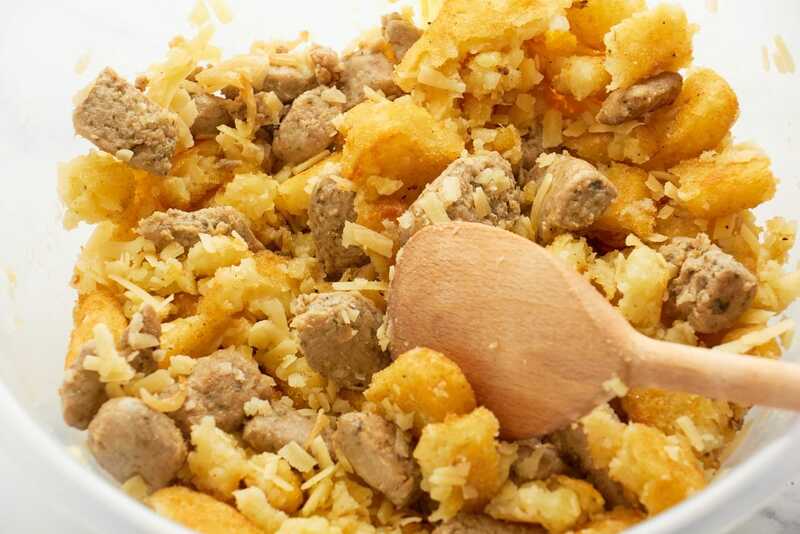 Whisk the eggs, milk and remaining teaspoon of salt, and pour evenly over the sausage and potato mixture. Bake in the oven for 35 to 40 minutes, or until the egg is set and the top nicely browned. – Try changing the type of sausages you use, or adding more or less cheese to taste. 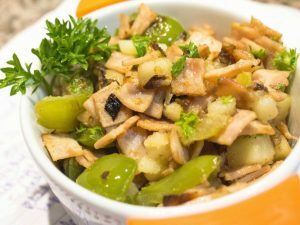 – You can keep this dish in the refrigerator and it will still taste delicious a couple of days later. – Make in advance to save time rushing in the morning, then all you have to do is pop in the oven, and soon your house will be filled with beautiful baking smells. 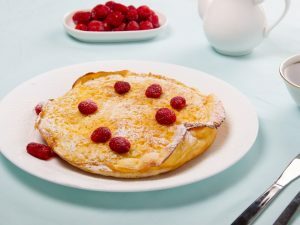 – You can turn the ingredients into mini frittatas if you’d prefer. Cook in 6-inch cast-iron skillets for 30 minutes at 375 F/170 fan/gas mark 5. Top them off with sliced avocados, pico de gallo, sour cream and a sprinkle of green onions to garnish.